This work provides evidence that ultra-stable Y zeolite (USY) and HZSM-5 zeolites were active as catalysts for the pyrolysis of urban plastic wastes, decreasing its degradation temperature. When HZSM-5 was used as the catalyst, at 450 °C and 30 min, an increase in the solid fraction and a reduction in the liquid fraction were observed. On the other hand, the best catalytic cracking performance was observed for the reaction catalyzed by USY zeolite, and a higher amount of liquid fraction was obtained. Moreover, the increase of reaction time and temperature was favorable to obtain better results in thermal pyrolysis. 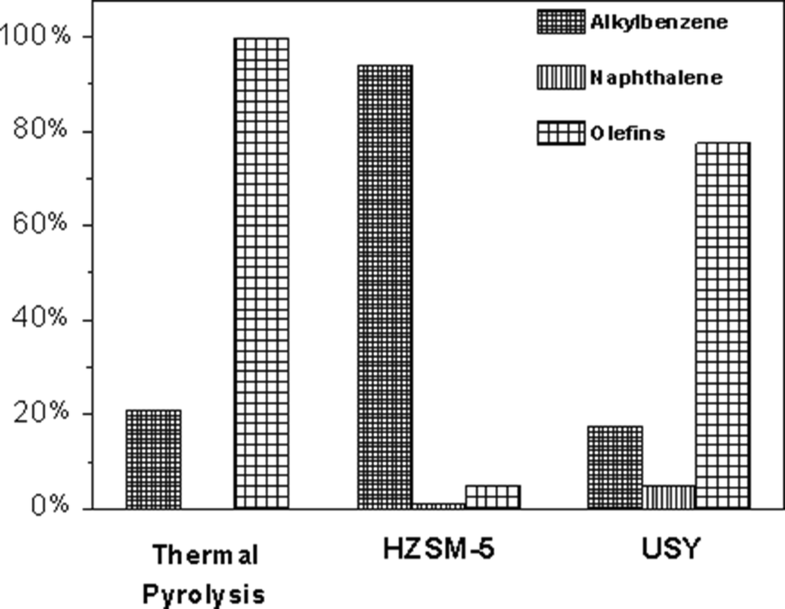 As to the liquid fraction composition, its components were alkylbenzenes, olefins, and naphthalenes in the thermal pyrolysis whereas alkylbenzenes were the main component in the HZSM-5-catalysed pyrolysis and that catalyzed by USY provides higher amounts of olefins. 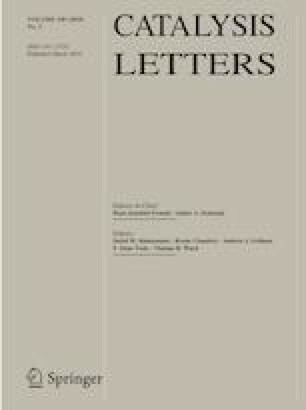 This study was financed by the Coordenação de Aperfeiçoamento de Pessoal de Nível Superior—Brasil (CAPES) and by the Fundação Carlos Chagas Filho de Amparo à Pesquisa do Estado do Rio de Janeiro (FAPERJ).